Since the early days of Lexmark’s prebate program, the killer chip has been frustrating remanufacturers and consumers. Hear what Tricia Judge has to say on the benefits and non-benefits of the killer chip in the industry. The “killer chip” has once again reared its ugly head. And this time, Epson’s employing them on their inkjet cartridges. This is a common impediment and one easily addressed technically, but legally, it can truly be a killer. The killer chips never left the industry. Since the early days of Lexmark’s Prebate program, the killer chip has been frustrating remanufacturers and consumers. Sometimes they are introduced on cartridges and become instantly problematic. Other times, they lay in wait for a change in firmware to awaken them so they can turn off machines using aftermarket cartridges. The chips are intrinsically dastardly, because they can be employed simultaneously for good and evil. They can monitor an important business-related feature, such as page yield or ink levels. But then the same chip can turn off the machine when it reaches a pre-set number of pages or level of ink, regardless of whether there is still ink present in the tank or if it has been completely refilled. The chips also don’t know or care about the right to repair. When used—or reused—on a perfectly legal remanufactured cartridge, they can still send a signal to shut down the cartridge. That makes them the scourge of the industry, and of customers. The chip that causes the current problems is on the Epson circuit board. For earlier Epson models, the chip, which counts the number of copies printed, could be reset. On the more recent models, it cannot be reset. Both Apex and Static Control Components have been able to produce a compatible chip that functions the same as a new or reset chip. When placed on a recycled circuit board on a remanufactured cartridge, the resulting product constitutes permissible repair. The problem is that each time there is an update to the Epson firmware, it deactivates the Apex and SCC compatible chips, rendering the legitimate aftermarket remanufactured cartridge inoperable. Once again, an OEM is flagrantly circumventing the patent exhaustion/right to repair doctrine by placing obstacles in the way of legitimate remanufacturing. No doubt, Epson claims its firmware also has legitimate business purposes. However, the outcome is just the same: frustrated remanufacturers and furious customers. 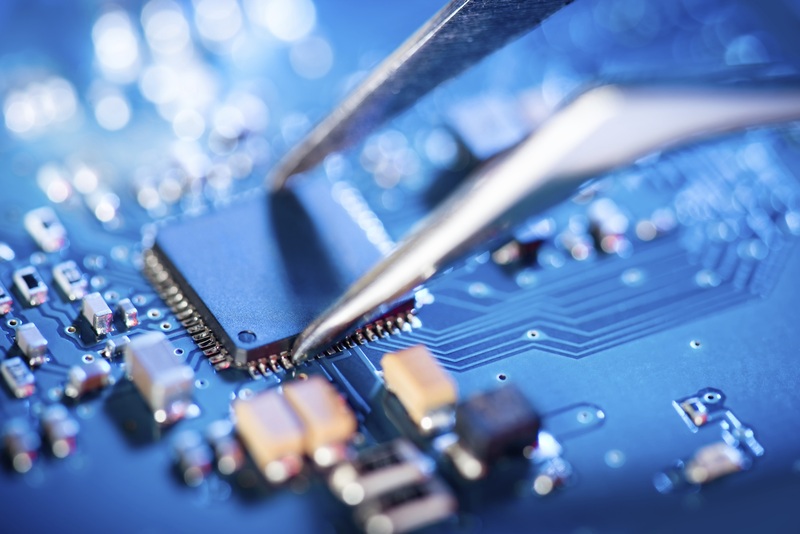 For decades, the remanufacturing industry has been dealing with chips of all kinds. There were the Dallas semi-conductor chips that Lexmark used to enforce its Prebate terms. If a Prebate cartridge was remanufactured and replaced in the printer, the chip shut down the printer and displayed a message stating, “invalid refill.” Other chips used by OEMs included RFID chips that kept the discussion going between the printer and the cartridge long after it was necessary for the purposes it claims for inclusion in the product. Some chips, such as those employed by HP, have not interfered with cartridge functionality, and have only served to enhance the performance of the printer and cartridge. However, if these chips are not reset or replaced in the remanufacturing process, the cartridge could no longer share important information with the printer, such as toner levels. And, of course, replacement chips were not immediately and readily available. Therefore, the consumer is left guessing, for instance, how much toner is left in the cartridge, and frustrated because his “gas gauge” no longer indicates the toner level. In his mind, the consumer now equates remanufactured cartridges with inferior ones with diminished features. Consumers may be duped by the chips but they are not without recourse. The class action lawsuit was designed to bring together like-minded, aggrieved people who desire to set right a wrong. Decades ago, a class action was brought against Lexmark by consumers over its prebate program and the “enforcement” chips. In 2010, in Kent v. Hewlett-Packard Co., HP agreed to settle a class action claiming that not only do “smart chips” embedded in HP printers not live up to their performance-boosting promises but actually end up costing consumers extra money to operate. Other plaintiffs named Blennis, Rich and more recently, San Miguel, have brought class action suits against HP over its printers and have compelled the leading OEM to pay many millions to consumers. In these cases, the customers proclaimed that they were fed up with firmware that shut down their printers. They argued successfully that chips that monitored their page yield or ink levels left them with cartridges still full of toner or ink, and therefore they were injured financially when they could not finish printing until the cartridge’s real end-of-life. Eventually, the Government Strikes Back? The OEMs’ behavior has two key ultimate intentions: To make sure the consumer buys a replacement cartridge from whom they dictate, when they dictate. The former outcome is anti-competitive. The latter is prematurely condemning the cartridge to an early trip to the landfill. In passing the “Hamon Law,” in 2014, France became the first country in the world to consider sanctioning OEMs for the widespread manufacturing practice of “planned obsolescence,” –or creating products designed to fail so that consumers will be compelled to replace them earlier than they would otherwise. Specifically, the legislation outlaws “the use of techniques whereby the person responsible for placing a product on the market deliberately aims to reduce its lifetime in order to increase the replacement rate.” To be clear, the law does not compel OEMs to affirm that its products will last for a set length of time. Instead, the law requires them to be forthright or transparent in communicating its expected lifespan. (The new law also introduced the availability of class action lawsuits to this law under French civil procedure, which was not available until 2014.) The new law was recently invoked in a case filed near Paris against four printer OEMs: Epson, HP, Canon and Brother. The case was brought by a consumer group called Halte à l’Obsolescence Programmée (HOP), or End Planned Obsolescence. The suit charges that the companies’ printers falsely show various components “at the end of their life” and ink cartridges empty when they still have ink. The printer companies face modest fines of €15,000 but the loss will expose the OEMs to negative publicity. And in the face of the ever-growing support of the circular economy, especially in Europe, the OEMs will look very backward indeed.